Solvers must exchange the contents of two diagonally opposite cells. 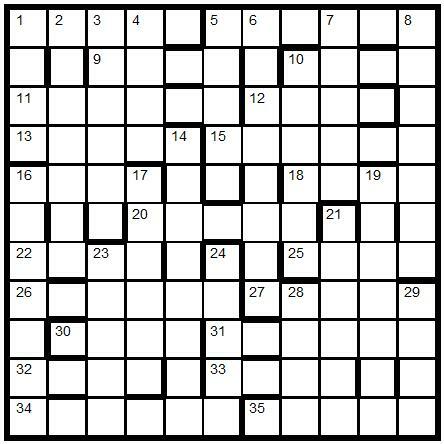 The characters in these two locations will expose six novel thematic words (33 cells) which must be highlighted. To enter this competition, send your entry as an image or in list format, to derekharrison@yahoo.com before the 8th October 2011. The first correct entry drawn from the hat will receive a copy of The Chambers Dictionary which has been donated by Chambers.